Like most tragic stories, this one starts with a wedding and ends with legal threats. And like many of these stories, the middle part contains a guide to entertaining and a parodic Twitter account. The success of this Twitter account soon led to a book deal, resulting in “When One Is Expecting: A Posh Person’s Guide to Pregnancy and Parenting.” The success of the Twitter account andbook soon led to this dubious (even for Britain and its notoriously libel-lawsuit-friendly climate) legal action. 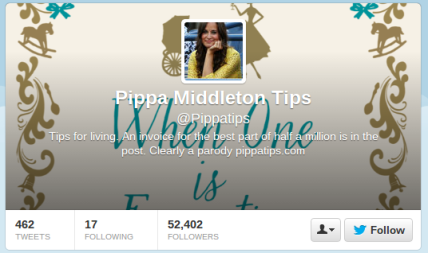 Although the duo’s book was published in June, Middleton’s lawyers Harbottle & Lewis have written to the book’s publishers, Icon Books, to demand the @Pippatips Twitter account be deleted. Now, why the publisher was approached is unclear. 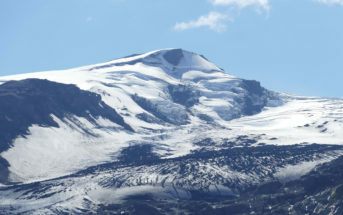 The Twitter account is independent of the publisher and existed before the book deal. However, the instinct is to go where you think the money is, especially in frivolous lawsuits. Obviously, this first salvo failed. The parody account is still live. What the legal teams plans to follow up this first failure with remains to be seen. It would be very difficult to believe there’s any sort of libel or defamation occurring, which is usually the direction this sort of thing tends to go. If Middleton is offended by this parody, she’s sabotaged herself by drawing attention to the Twitter account (and by extension, the book that parodies her “basic” writing style). This may be a poor attempt to extract a little revenue from a rival publisher. Middleton was advanced a reported £400,000 for the book, but low sales saw her publisher reduce the cover price 75% in hope of moving some units. She was also dropped from the publisher’s roster as well as by her literary agent. This sort of spectacular crash sometimes results in desperate measures — like poorly thought-out legal action. Until the other foot falls, @Pippatips remains in business and its spinoff book is still selling. Both will probably see a boost in traffic thanks to Middleton’s inability to handle being parodied.